Blue Devils Blue Devils are seeking a social media intern to travel with the corps during its 2013 summer tour. Bluecoats Bluecoats will host its 2013 Kickoff Tailgate Party in conjunction with the corps' DCI Tour event, Innovations in Brass, on Saturday, June 22. The social gathering will include dinner and a special auction and raffle. Boston Crusaders Boston Crusaders reported after Monday's bombing at the Boston Marathon: "Thankfully we have heard no bad news about anyone associated with the Crusader family, but we mourn yesterday's heartbreaking losses along with the city of Boston, the nation and the world." The corps shared an account of the day from alum Marsha Whitman, who crossed the finish line a few minutes before the first bomb went off. The Cadets The Cadets have launched the 2013 edition of its Maroon and Gold Club fundraising campaign. This year's theme is "It's What's Inside That Counts." Cascades Cascades kicks off its April rehearsal camp this weekend. Positions are still open in its brass, color guard and percussion sections. Colts The Colts report that alum Lee Ann Yanni, was one of the many injured during Monday's bombing at the Boston Marathon. On Tuesday, Yanni and her husband were interviewed from the Tufts Medical Center by the NBC Today Show. Legends Legends has positions open in its brass, percussion and color guard sections. The corps will next rehearse April 26-28 in Martin, Mich.
Madison Scouts Madison Scouts alums will be hosting the 13th annual "Rockin' for a Cure" on Saturday, April 20, in Madison, Wis. The musical charity event founded in 2000 by the late Scouts alum Steve Weekes, raises funds for the Amyotrophic Lateral Sclerosis (Lou Gehrig's Disease) Association Wisconsin Chapter. 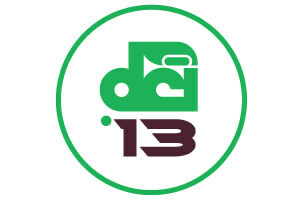 Mandarins Drum Corps International announced this week that Mandarins Executive Director Ray Mar is one of four individuals who will be inducted into the DCI Hall of Fame in 2013. Music City Music City will hold auditions for its color guard section April 26-28 at Freedom Middle School in Franklin, Tenn.
Pacific Crest Pacific Crest Executive Director Stuart Pompell will play host at an upcoming concert presented by the Diamond Bar Community Foundation which raises funds for local music programs including Pacific Crest. The concert will take place at Mt. San Antonio College on Sunday, April 28 at 2 p.m. PT. Raiders Raiders still has opportunities for brass and color guard students to join the corps for its 2013 summer season. The corps' next rehearsal weekend is April 26-28.